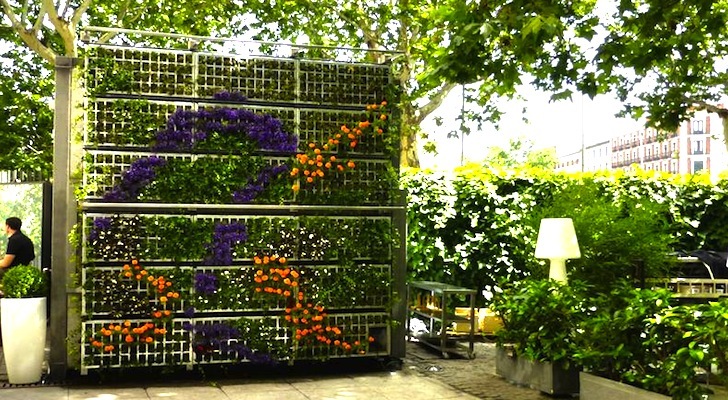 Spain already boasts the world's largest indoor vertical garden, but that doesn't mean there isn't plenty of room for smaller installations such as this one recently installed at the Reina Sofia Museum in Madrid. Designed by Juan Artaza and Pepe Martin from Estudio 108, the modular living wall or Air Garden is bound to keep visitors rooted to their seats for hours on end. Estudio 108’s modular green walls are not only gorgeous – planted as they are with a plethora of colorful and indigenous plant species – but they are also incredibly easy to erect, use very few materials, and require zero soil. This combined with a water-efficient drip irrigation system makes the stacked gardens easy to maintain. Cheaper than some systems, the vertical garden designed by Estudio 108 and installed in the museum’s terrace acts like a divider or sound barrier that enhances the acoustic environment. It also improves air quality and fills the space with a delightful, natural aroma, and its aesthetic appeal speaks for itself. 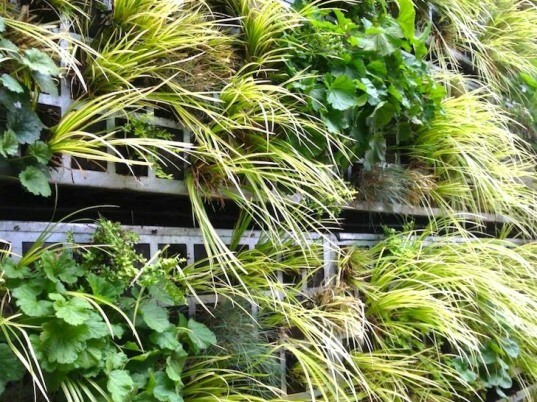 We never tire of green walls… more please! Estudio 108's factory showcases a larger stacked vertical garden.